I can’t believe I missed this one: a German Tank manufacturer has received EU agricultural subsidies. Hamburg - Farmers aren’t the only recipients of EU agricultural subsidies. The arms group Rheinmetall has received 2009 budget year funds from the European Union. The company conceded that it got €83 795 from a rural development funding program. The grant recipient, the Rheinmetall Waffe Munition GmbH Forest Service, is part of the Unterlüß test range north of the Südheide nature reserve. The Forestry Commission said the center had received the funds as part of an effort to "convert our forest from a Pine monoculture to a mixed species forest environment. Those treads should do a great job of aerating the soil. 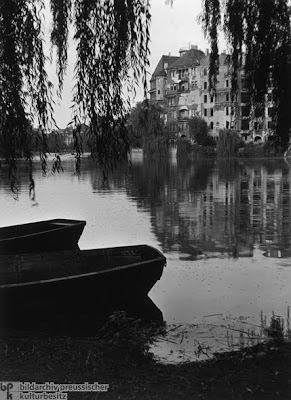 Presented by the German Historical Institute on their German History in Documents and Images website, is a rare collection of postwar photographs attributed to a known photographer, Friedrich Seidenstücker. So what do you think this tells you about Iran’s “nuclear medicine” program? PROJECT SCOPE: The project is for the construction of three (3) underground bunkers at three separate locations in and North of Amman, Jordan. One of the bunkers is approximately 3803 SM total and two of the bunkers are approximately 3288 SM total each. All are to be constructed below grade and include a burster slab, two means of ingress and egress, air supply, water storage, command and control operations areas, cafeterias, kitchens, offices, sleeping quarters, latrines, clean and dirty equipment areas, and blast attenuation/baffling structures. All work identified in the Scope of Work shall be completed within 450 days from the Notice to Proceed. Information on a site visit and instructions to obtain access to the site will be provided in the solicitation. Eulex confounded: Kosovars still love the US more than them. A Kosovo-Albanian and a Spaniard run into each other in New York City. Spain is the biggest among the EU countries that have yet to recognise Kosovo's independence. Upon finding out that the other is from Spain the Kosovan gives him a close hug. The Spaniard is astonished. "Hey, you guys discovered America. That's enough for us," says the Kosovan. The joke was told in a restaurant in Pristina by a top official from Kosovo's home affairs ministry. It was meant to illustrate that the more than 2 million Albanians in Kosovo agree on one thing: it was the Americans - not the Europeans - who 'liberated' them from Serbian rule after a Nato bombing campaign forced Serbia to relinquish control over its Kosovo province in 1999. Then US president Bill Clinton was given a statue in Pristina this week; he already had a street named after him. What with all of that “spreading freedom” twaddle, those silly Yanks. I mean WHO would want THAT, when the Europeans were perfectly prepared to let the schnooks keep burning villages, if it required any use of force on their part? Over the course of a few days during a state visit to the United States, Mexican President Felipe Calderon fed the left’s latest object of fixation: their misinformed and misguided invective directed at Arizona’s entirely lawful and rather desperate measure to stem the side-effects of the Federal Government’s non-enforcement of a basic function of a nation’s sovereignty. The very existence of national borders, it seems is some sort of embarrassment for which we need to apologize even to the still totalitarian government in Beijing for. But like the idea that such an apology would indulge an ego or a favor, the means of that sort of rapprochement, not to mention any potential benefits from it, are of no value. They also reveal an inability to even employ ones’ adopted international policy stature. I really wish that clutch of bufoons weren't acting like such amateurs. To begin with, it's absolutely off limits in diplomatic protocol to criticize another nation's domestic laws and affairs, but Calderon threw some red meat to his population and did just that. Next, there are those that applauded them who indulged in the epic foolishness of, like it or not, not backing up a fellow citizen or government body in the face of foreign criticism. Another error a college sophmore in government affairs, international affairs, or as this lot would prefer, a major in "peace studies" would know. If this is their idea of soft power, you now know quite vividly they wasted it, and have made tool after tool in the negotiator's tool kit unusable ever again. It isn't just the stick that has been rendered unusable - the carrot has now had any ability to lure implausible. The president, the very man held up by an equally uninformed press corps as some sort of sophisticate, is an inept and incapable practitioner of statecraft. He can't even seem to execute the "soft power" posture that he advocates. He can't even understand how to use the simple (and questionable) thesis promoted by Joseph Nye on "soft power" to the benefit of the United States anyway. What's taken for relational interaction is turned into popularity playcraft, not statecraft. In fact all one can do after that is force oneself into direct confrontation to be taken seriously in any matter grave enough to require the President's direct involvement, much as Chamberlain's appeasament forced the hawks' hands: sooner or later, someone will have to make a dramatic and restorative turnabout and overdo making the point of being tough on that border problem. The president is an abject failure, even on a platform where populations worldwide and much of their leadership are giving him a million second-chances, and are willing to pretend him a success. Moreover, we have a Secretary of State who originated in the ginned up world of pretend-retail politics, with no international affairs abilities outside of being a hand-shaking spouse. What's worse, is that it's patently obvious that she is gunning for an electoral challenge to the president, making dealing with the State Dept. and the White House by other governments an uncertain excercise, and inrtoduces the simple problem of whether or not they can even take communication from the United States Government seriously, for fear of that effort being lost on an internal political matter befitting a small European state or a thugocracy in Asia Minor. Worse still was the feeble reporting. The story is there. A trail of crumbs that could fill a commodity stockyard presented itself to the press, all pointing to a distaste for the defense of a nation by a class of leaders, and an inability to reflect on the effect of airing ones’ domestic political feelings in an international forum is left in plain view. In plain sight of the press laid even the simple ignorance of basic diplomatic interaction. You would think one of them would want to break away from the pack, show some distinction, and write so much as a wire piece about it. Alas, who knew that the height of the dawn of the great new age of Aquarius would be characterized by a servile, pliant, (and often ignorant) press that was willing to let every word a national leader go unchallenged and unexamined. All we need now to complete the lifestyle of the overbearing autarkies of the Eastern European Communist Block are brave sounding statements that are meant to inspire national solidarity behind the leader hung at intersections and under train trestles. All for the good of man, of course. One of Paris's main thoroughfares, the Champs-Élysées, has been covered in earth and turned into a huge green space in an event staged by young French farmers. …on Sunday the French Young Farmers union … brought the sights and scents of the countryside to Paris as its members covered a long stretch of the Champs-Élysée[s] with miniature fields of wheat and sunflower. It was perhaps its sheer incongruity that drew massive crowds to the avenue that the French call the most beautiful in the world. The federation said that about 150,000 plants covered more than 3 hectares, or 7.4 acres, of the avenue. Farms animals — sheep, pigs and at least four breeds of cows — were held in pens along the avenue. France poised to raise retirement age. Expectations are growing that France is set to remove the right to retire at 60, as it embarks on a contentious reform of its debt-laden pension system and brings public finances back into line. Note that it does not necessarily mean that gangs of Pinkertons will FORCE anyone to work to 62, of anything else. It just means that you can’t draw a pension until you’re 62. His comments are likely to give ammunition to unions planning a national strike on Thursday to protest against spending cuts and pension reforms. As if you couldn’t guess THAT would happen. The government is highly sensitive to the potential of pension reform sparking widespread unrest and will be watching Thursday’s protest closely. Former prime minister Alain Juppé was eventually brought down by national protests in 1995 when he attempted to restructure one of the most generous pensions systems in Europe. The easiest way to solve that problem, if these helpless, servile idiots were able to imagine it, would be to actually save some money on their own, without the government managing your financial life. They might be stunned to discover that in the USA, you can actually retire any time you like, and in most cases, take as MUCH VACATION as you want. Just don’t expect anyone to pay for it when you’re not giving them anything in return. While the majority of adults in France understands the need to put off the drawing of pensions, you still have a stupid crust of haterz who honestly can’t figure out that the money to fund it has to come from someone else\ - someone NOT (not) doing their jobs with the large institutional entities that practically make it unnecessary to think about your work, or take any sort of initiative to do it well. On the other side of the coin are those that work for themselves, who actually have both the burden of being taxed to fund these bums, and are (decade after decade) expected to be the magic bullet of innovation that will make the hard choices unnecessary. Good luck. I’m sure their only though is “You want WHAT?!? Thanks for nothing”. Sure! If you’re talking about Europe’s approach to the Kyoto accord. The first swindle involves Europe using a 1990 baseline. The closure of socialist industry in eastern Europe, a massive Scandinavian economic crisis, and mad cow disease's effect on livestock production crashed emissions by 1995. Result? The result was a kind of “heads I win, tails you lose” set-up. It was a position that activist distracts real people who actually DO clean the environment, and actually DO produce things from improving the fate of man, especially it’s weakest and poorest. "In 1997 in Kyoto, the EU27 signed on to an aggregate cap on their GHGs that was 14% ABOVE the member states' aggregate 1995 actual emissions. [From 1997 to 2008]... Spain, +32.8%; Latvia, +27.4%; Cyprus, +23.1%; Estonia, +21.0%; Greenland (a Danish colony), +16.6%; Luxembourg, +16.2%; Lithuania, +13.6%; Ireland, +13.0%; Ukraine, +11.5%; Malta, +9.0%; Austria, + 7.5%; Bulgaria, +8.4%; Italy, +5.9%; Belgium, +4.0%; Netherlands, +3.2%; Portugal, +4.2%; France, +1.5%; Finland, -1.6%, United Kingdom, -2.9%. It should be noted, further, that 100% of the emission "reductions" claimed by EU member states to date derive from offshoring manufacturing of goods and services EU demand, which has actually increased." In a world of paper shufflers and paper tigers, that is considered “real”, “honest”, and a “brave facing of the issues”. Go figure. Not letting a crisis go to waste, the recession will (no doubt) be reframed in emissions-terms with the “great leap forward” treatment, as presented in venal international fora. That’s the political dynamic of the new age of man that they are “inspiring us,“ and leading us in to. The European Union has a flag no one salutes, an anthem no one sings, a president no one can name, a parliament (in Strasbourg) no one other than its members wants to have power (which must subtract from the powers of national legislatures), a capital (Brussels) of coagulated bureaucracy no one admires or controls, a currency that presupposes what neither does nor should nor soon will exist (a European central government), and rules of fiscal behavior that no member has been penalized for ignoring. In stating the case for European superiority, much has been made by boosters of Europe’s different institutional framework, tax or regulatory structure. No question these have advantages and disadvantages compared with those of the United States, but there’s little case for arguing that the “Euro-model” has been a rip-roaring economic success. It’s imploding on its weak periphery, and the collapse is threatening even bigger players, including the United Kingdom.